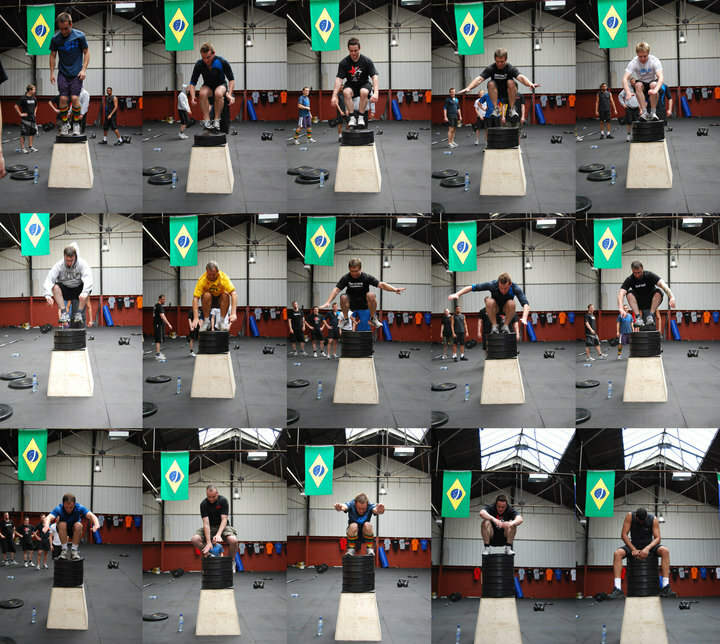 Road trip to Clan CrossFit for their open day. Yet another road trip to train, this time up to Kings Park in Stirling to meet up with Jeff and Mikki Martin from CrossFit Kids / CrossFit Brand X, Graham and Lorraine from CrossFit Dental, Simon from CrossFit Fife and my buddy Buster. The Martins were travelling to Stirling from Loch Lomond and we met up with them to do a workout in the park, which Graham and Lorraine and set up - with probably the best van full of CrossFit equipment ive seen - bars, bumper plates, kettlebells, med balls, mats, parralettes, cones, hurdles, a gazebo, skipping ropes...everything the travelling CrossFitter needs! After finishing the workout we hung about for a bit then said goodbye to the Martins, who were heading to the castle then off to Aberdeen beofre going back down to England for the CrossFit Kids cert at CrossFit North East England. Took a trip to Clan CrossFit in Glasgow today for a visit to see what the place is like, meet the owners and have a play with their equipment. A good day and it is going to be a very impressive CrossFit box. 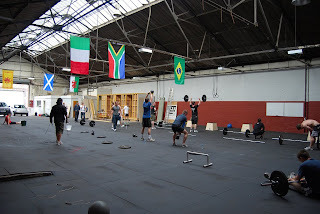 Friday afternoon drove down to Manchester and hung about CrossFit 3D and hit a workout. The class were doing Eva and I could still barely straighten my arms and there was no way I was going to do that workout again. So after a brief chat with my mate Karl, he decided I should do 20min AMRAP of 250m row and 10 bar dips, something that wouldnt over stress my arms or hands. I managed 8 full rounds, was just about to get on the rower when the buzzer went. After the workout I hung about some more, catching up with some old faces and chatting to some new people. Saturday night was a meal and some drinks, very enjoyable! Sunday was more lectures, demonstrations, small workouts and lots of information. I can honestly say I learned more about coaching from this cert than from my Level 1 and have taken more away from it that I will use on my own kids as well as the other people I train. 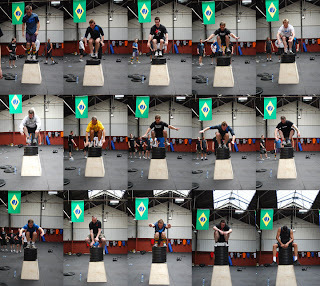 Thinking of going back to the CrossFit Strength Bias programme for the rest of the year. 5/3/1 has been working great but want a change. that was my goal weight for the end of the year, thought I would try it today and it went up. Not very easily but it did. Tried it again to see if I could do it again....eh no! Could not get more than 10 double unders in a row - in fact the set of 40 was mostly singles. Heading to Manchester tomorrow for the CrossFit Kids cert. Cannot wait! road trip to CrossFit Fife. Was great to train in a group again.